This week's review is of the Skin79 Smart Clear All In One Cleansing Gel, which is part of my ongoing series titled: Finally Reviewing Last Summer's Haul Products So I Can Buy More Guilt-Free. Also included in this series is Tonymoly's Latte Art Cappuccino Cream-in Scrub, Skinfood's Ancient Rice Toner, and last week's ill-fated My Beauty Diary Natto mask. Not only is it assisting with culling the giant list of overdue reviews, but this cleanser is joining the ranks of empties I am hoarding in anticipation of doing an Empties post in the future; nothing gives a beauty product addict the rush of justification like a collection of things you actually managed to finish. Despite me nearly finishing this bottle (I have only a tiny amount left in the bottom) it's not something that I'd necessarily recommend or repurchase. Purpose: Foaming cleanser, and according to the box: The special cleansing line completely purifies unnecessary wastes and harmful environmental factors with a formula containing an[sic] natural ingredients keeping skin balance. Mmmppphh snort. I thought I'd get through all these claims with a straight face, but 'hydro supply' undid me. Scent: Has that sort of standard chemical smell you find with acne-fighting products like Neutrogena. Doesn't really linger provided that you rinse well. Texture: A clear, medium thickness gel that foams up easily with water. Quantity: A pretty serious 150ml, lasts forever. Availability: It's not super popular, but you can find it on the sites I linked below and also places like amazon and eBay, but since Skin79 runs a high risk of counterfeit in their BB creams, I'd say safe and stick with actual retailers. I bought mine from prettyandcute.com. Price: $15 on prettyandcute.com, $15.90 on koreadepart, so around $0.10/ml. pH Level: 6, so while not ideal, still lower than water (which is 7) and thus less likely to damage your moisture barrier. Rating: 3.5/5 I wasn't totally amazed by this cleanser, but it does have a lower pH than the rest of my foaming cleansers, so I've got to give it props for that, but it's still above the recommended limit of 5.6. Repurchase: Ehhh. Maybe? I am on the hunt for a low-pH, gentle foaming cleanser that I can pair with an oil for double cleansing. My skin is a lot more sensitive/dry since I started AHA, so now this cleanser is too much MEGA POWERFUL FOAM ACTION for me. When I was not doing chemical exfoliation on a daily basis, it worked just fine. (Hence the empty bottle.) I can't see myself leaving the Cult of AHA/BHA, so I doubt I will repurchase. What I love about the Skin79 Smart Clear All In One Cleansing Gel is that it didn't dry out my skin. It actually soften and moisturized my skin like I've just spend 30 minutes using a facial mask. I was especially surprised at the cleanser's ability to remove makeup. Usually with Elisha Coy I needed to use a couple of pumps and also leave product on my face for couple of seconds to removed makeup. Even at that it didn't remove my makeup all the way. It would leave eyeliner or mascara on my eyes. With the Skin79 I used one pump and it took all my makeup off. It didn't even sting my eyes. Wow, cleans off BB cream, isn't drying, AND makes you feel like you just wore a face mask?! Sign me up! Softens dry patches ... uh, not in my experience. I would also not personally recommend this to dry skin sufferers, because like I mentioned, it's a pretty robust cleanser and I think it would irritate dry skin. 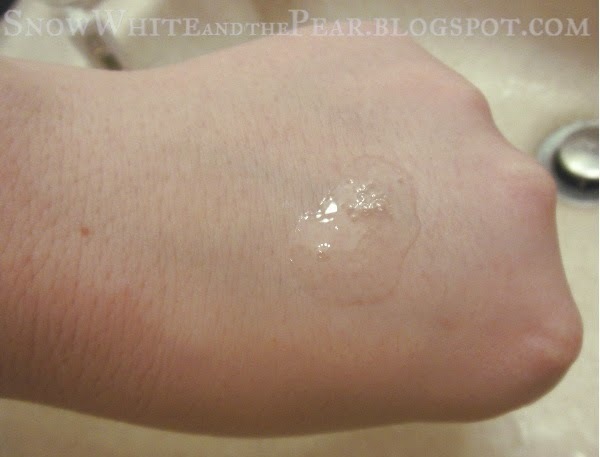 Prettyandcute's site also says "Allow cleanser deep cleanse skin by allowing it to sit on skin for 30 seconds" which I would not recommend doing unless you aren't doing anything else remotely irritating to your skin, which would include manual or chemical exfoliation, oil massage, or any kind of AHA/BHA treatment. This cleanser is serious business. If my skin is feeling sensitive, it will start to sting if I take too long to soap up the various areas of my face; I use Go Hyun Jung's method of washing against the grain of my pores and it can take a while. The gel comes in a handy hygienic pump, which I appreciate, and you can easily tell how much you have left due to the translucent bottle. According to the (abundant) English on the package, this cleanser has an "Eco Mil Clean effect to regulate the ideal balance for skin that remains healthy skin." Again with the mildness. Are we talking about the same cleanser, Skin79? Cleansing Gel is made with a moisture-rich water-type gel formula that neatly removes makeup residue, toxins, and blackheads and makes skin feel fresh and smooth without tightness even after cleansing. Skin-DX Complex, made with Lotus Flower and Elaeagnus Umbellate Extract helps maintain clean and lively skin while patented ingredient Levan Extract provides nutrition and a moisturizing effect for moist and smooth skin. Oligo-HA maintains skin’s oil-moisture balance while Eco Mild Complex protects the skin from external irritants for shining, healthy skin. 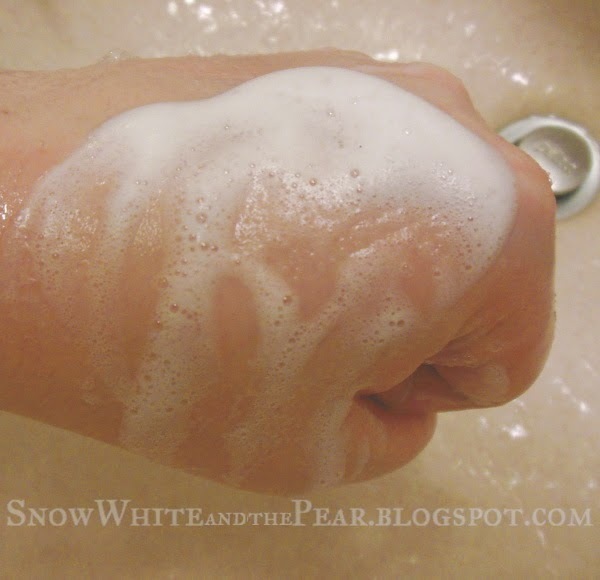 Directions: Pump an adequate amount on wet palm to foam up and gently massage on skin. Rinse thoroughly with lukewarm water. And now we get to the part where I, out of sheer love and blogging integrity, type out this monstrous list of ingredients. Who loves you enough to type all that out?! Who loves you?!! Ah, sorry. There's nothing quite like staring bleary-eyed at tiny script on a box, trying to type out cocamidopropyl, schidigera, and caprylyl. It's like some unholy naming convention spawned from the beer tent at an elven larping event. Anyway, I have added this cleanser to Cosdna's product list so future users do not have to suffer the pangs of transcription as I did. 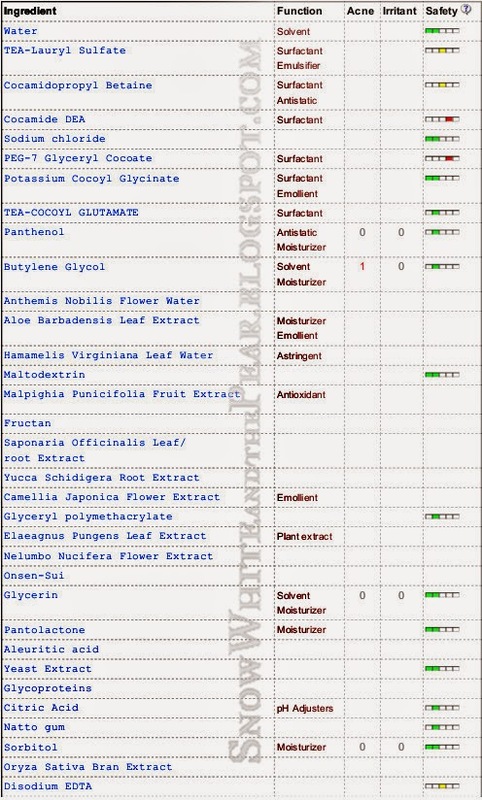 Looking at the red flags on this list, there are a few things that may be cause for alarm, as Cocamide DEA has a pretty scary wikipedia entry but cosmeticsinfo.org seems to think it's safe. What are Nitrosamines? A nitrosamine is an organic substance formed by a specific reaction of two nitrogen containing substances one of which is an amine (such as a protein for example). The second nitrogen containing material is called a nitrosating agent such as nitrites used as food preservatives (particularly in lunch meats). So, if you are planning on doing a DIY facemask of salami, don't wash your face with this cleanser afterward. PEG-7 Glyceryl Cocoate acts as a lubricant on the skin's surface, which gives the skin a soft and smooth appearance. It also helps to form emulsions by reducing the surface tension of the substances to be emulsified. PEG-30, -40, -78 and -80 Glyceryl Cocoate clean the skin and hair by helping water to mix with oil and dirt so that these substances can be rinsed away. They also help other ingredients to dissolve in a solventin which they would not normally dissolve. Safety Information: The safety of the PEG Glyceryl Cocoate ingredients has been assessed by the Cosmetic Ingredient Review (CIR) Expert Panel. The CIR Expert Panel evaluated the scientific data and concluded that PEG-7, -30, -40, -78, and -80 Glyceryl Cocoate were safe for use in rinse-off products and safe up to 10% in leave-on products. So, they may potentially irritate your face, but they won't melt it off, which is definitely the impression I was getting from wikipedia. It's added to food. It may not be good for you, but it it's not dangerous per se. 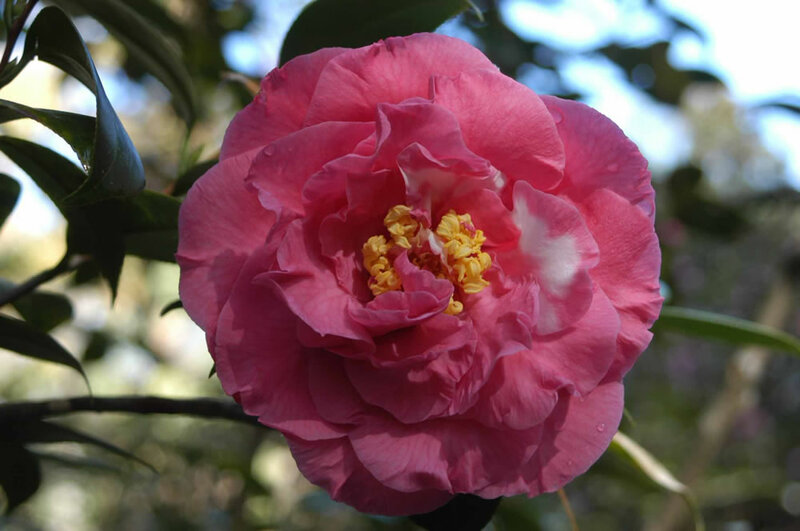 There are also a few nice extracts in there, such as Camellia Japonica, which I have in hair oil form under the Japanese term 'Tsubaki' and is commonly found in skin and hair cosmetics. 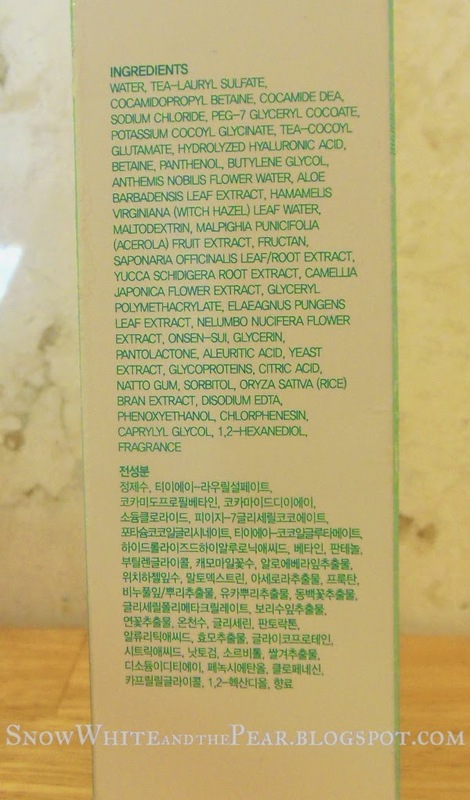 It also has Saponaria Officinalis leaf/root extract, which is a saponin (oh hey, a nerdy plant science thing I already knew about! ), a characteristic some plants that forms a natural soap-like substance when you beat the crap out of the roots and mix it with water. Don't ask me how I know that, just roll with it and don't try it at home. I'm going to stop there because whatever lovely plant extracts are in this cleanser it smells, feels, and acts like a chemical product and whatever plant-y goodness is lost in the chemical soup that ends up on your face. 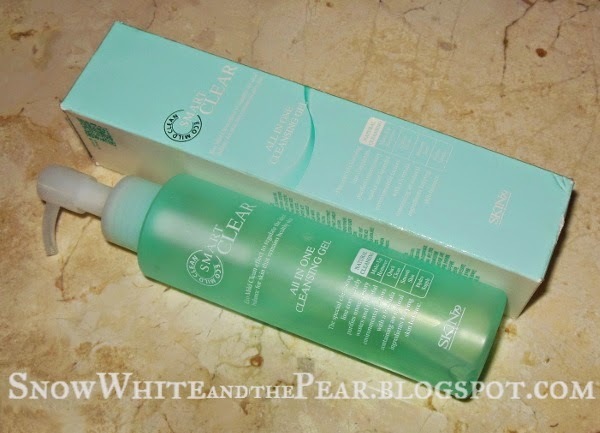 Do you have a low-to-medium pH level foaming cleanser that you love? Leave me your recommendations in the comments!